Cherries dominate the Christmas table! They are juice and red and you can use them to decorate and provide delicious morsels of freshness to any fruit platter. 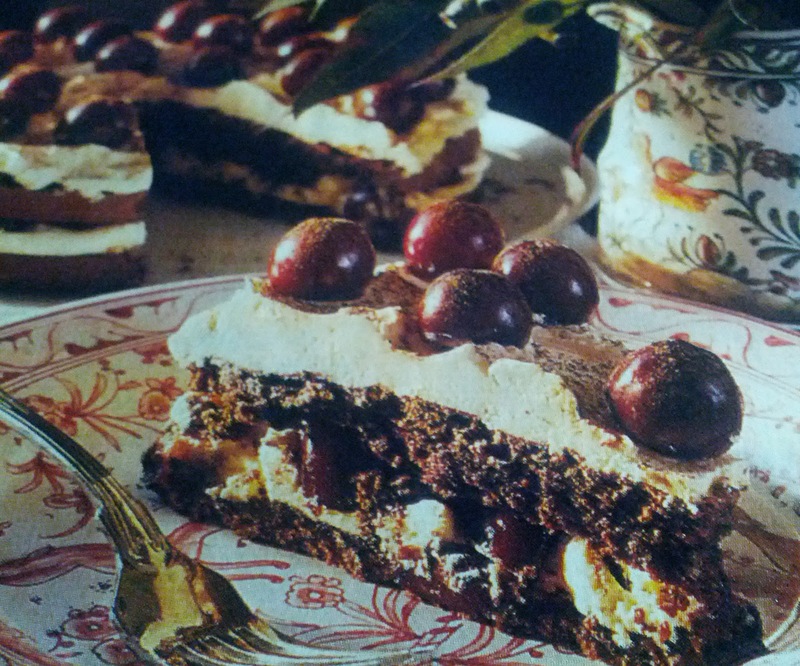 But what happens you combine Chocolate and Cherries? Christmas Magic! Add egg yolks one at a time beating until thick. Beat in hazelnuts, alternating with chocolate. Whisk egg whites until soft peaks form and fold lightly into chocolate mixture. Grease and flour a 23cm springform tin and line the base with some baking paper. Pour mixture into the tin and bake in a preheated oven (170 degrees celsius) for about 1 hour or until risen and set. Allow to sit in the tin for 10 minutes before turning out onto the rack to cool. When cake is cold, slice in half and spread top surface of both layers with cream. Slice one third of the cherries in halves and place on lower cake layer. Cover with the top layer and arrange remaining cherries in circles on the cream, leaving space between cherries. Dust the surface of the cake with cinnamon and cocoa. Keep in the fridge until ready to serve!